AOL says it racked up 150 million views on its original video content and more than 75 million unique viewers last year, but isn't standing pat. The company will announce 16 unscripted Web-only programs that brim with Hollywood talent at its NewFronts presentation on Tuesday evening. Its roster of celebrity partners entails James Franco, Steve Buscemi, Zoe Saldana, Mike Epps and other household names. "We're kind of echoing and doubling down this year," Ran Harnevo, president of video, told Adweek ahead of its event in Brooklyn, N.Y. "We decided to be very loyal to the editorial voice, pick authentic voices and choose remarkable stories." And, it's going bigger and better. In addition to more series, AOL is ratcheting up the number of stars on its digital video slate, hoping to draw advertisers. "Everything you’re going to see is around celebrities," Harnevo said. "We're trying to get people with a meaningful digital footprint who can help us push the shows and market the shows. These are stars that really have a digital audience they can connect with." Shows will include Making a Scene with Franco where the Academy Award-nominated actor and his friends will recreate classic movie scenes with their own spin. 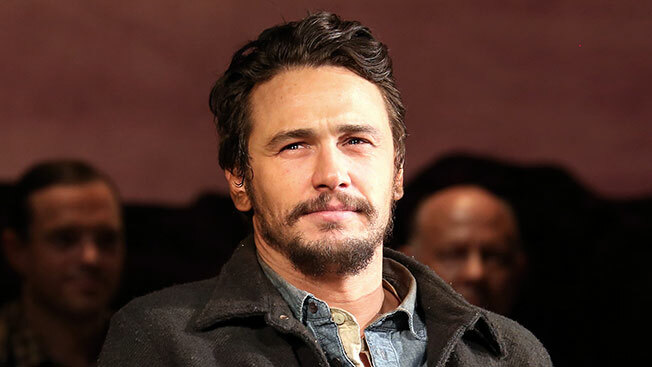 "James Franco is kind of the same mind-set as us," Harnevo said. "He’s very plugged into a social audience." Buscemi will talk to random New Yorkers on the street in a program dubbed Park Bench. Saldana is presenting My Hero, a show where actors will surprise the friend or family member who helped shape them into the person they are today. Epps will host That's Racist, a program that will look into the history and facts that lead to common racial stereotypes. The company will also be adapting the Israel hit series Connected, where participants self-document their lives for six months, for the U.S. audience. The talent-filled programs are joining #CandidlyNicole with Nicole Richie and City Ballet with Sarah Jessica Parker, both of which AOL renewed in April. Citibank and Verizon have already signed on as sponsors for their forthcoming seasons. And to find out just how well these shows are doing, AOL will participate in a beta program with Nielsen in order to get TV-relatable measurements across the 16 new shows. "We've always said that premium content is premium content, no matter what screen, device or delivery method is utilized," Harnevo said. "Nielsen's new ratings system will bridge the gap between digital and TV by making TV-comparable audience measurement available to online programs for the first time, and AOL is proud to be the first beta participant in this endeavor."